Posted by Moms Fun Money on Friday, March 6, 2015 Under: Misc. 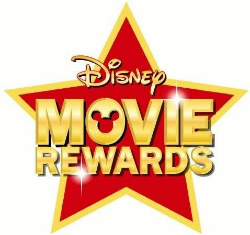 Today we are going to focus on Disney Movie Rewards. This is a great program, even if you do not have young kids or watch a lot of Disney movies. But if you do, make sure to save those codes. You even get points for movie tickets you purchase. They also give away codes a lot! Click HERE to sign up for an account and you can get started with the codes below. You can turn your codes in for Disney merchandise or wait until you have more and turn them in for gift cards. They also have a page of freebies you can print out. It has things like activity sheets for the kids. Click HERE for the freebies. Click HERE to enter your codes. This is another great way to get freebies!